Greetings creeps, and welcome to the first catalog post of 2014. 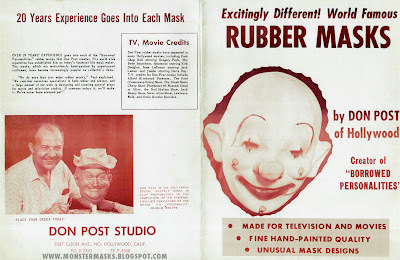 We’ll have to go back over a half century for this rare relic from Don Post Studios. 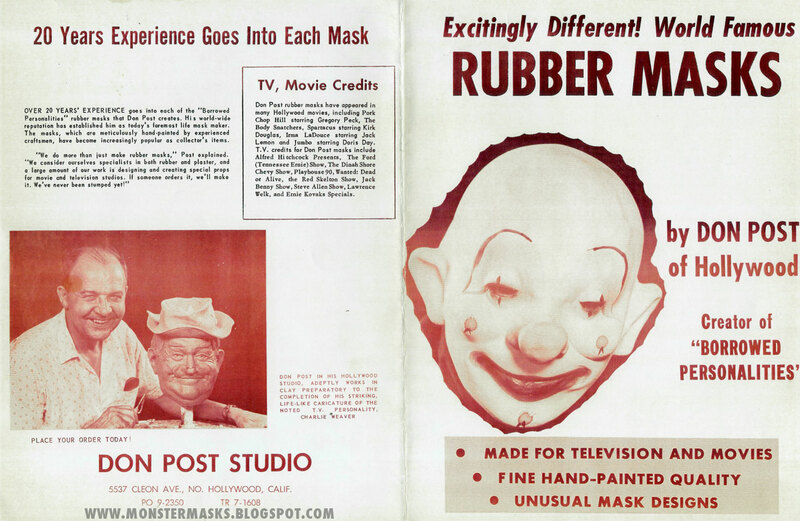 While I don’t have an exact year to place on this catalog, the text on the back gives us a clue… the newest motion picture mentioned is that of Billy Rose’s Jumbo (1962). Other than Spartacus (1960), all the others date back to the 50’s. 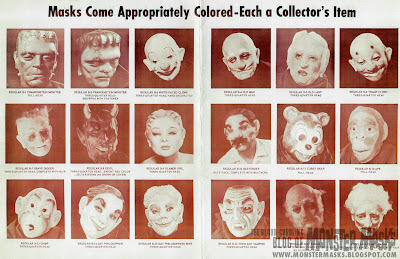 Here’s hoping you’ll enjoy this piece of monster mask history. You may want to have a look at the cover of first issue of Famous Monsters of Filmland if you’d like to see one of these masks in glorious full-color!